Your menopause and joint pain could be connected. Aches and pains are common menopause symptoms that are often overlooked, or put down to another cause. Are you noticing the early signs of menopause? There’s a lot you can do to stay comfortable, healthy and informed about the changes ahead. There are a number of digestive problems that often arrive with menopause and bloating is one of them. Learn about what you can do about it here. 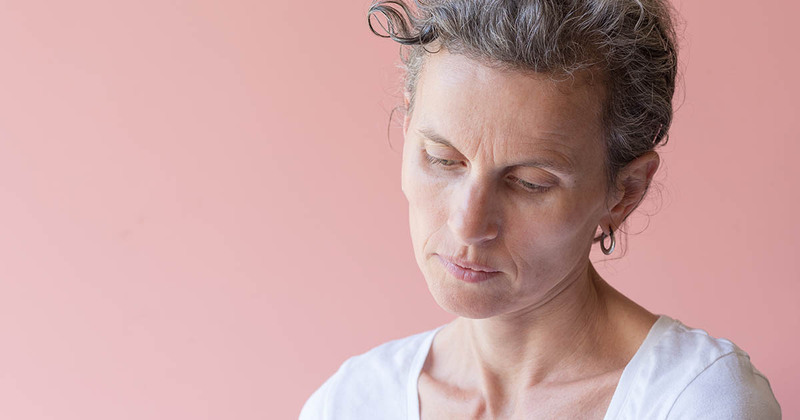 Menopause and Vaginal Dryness: During menopause estrogen levels decrease, leading to the thinning, drying, and inflammation of the vaginal walls. Menopause and itchy skin seem to go together; many women see the first signs of hormonal changes in their skin. But there are ways to fight back. During menopause, the body can get menopause and anxiety symptoms confused. Find out how you can prevent anxiety from taking over. Menopause marks a huge physical and emotional shift in your life: you may find that you are not thinking, looking or feeling like yourself. Going through menopause is tiring, and that can lead to cognitive dysfunction - but it doesn't have to. Here's how. Women may find that during menopause they begin to experience increased dental complications caused by the fluctuations in estrogen with increased age.